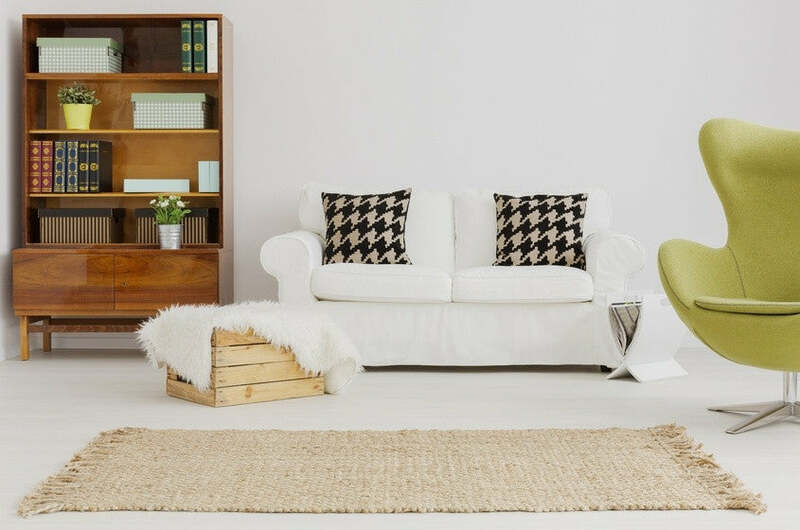 There are many different types of rugs to be found on the high street or online and the variations can be intimidating for the buyer so it is wise to be armed with a little knowledge before you start your search. Firstly consider how much you want to spend on your rug as some hand made rugs come with a very hefty price tag. Next think about where your rug will be used and what type of wear and tear it will be subjected to. It might not be wise to put an expensive rug in a child’s room or a hallway where people walk in with muddy boots. Hand-made rugs will always be more expensive than rugs made by mechanical looms although technically a rug can be considered ‘hand-made’ when touched by hand at any point during its manufacture and might not be as hand-made as you at first thought. 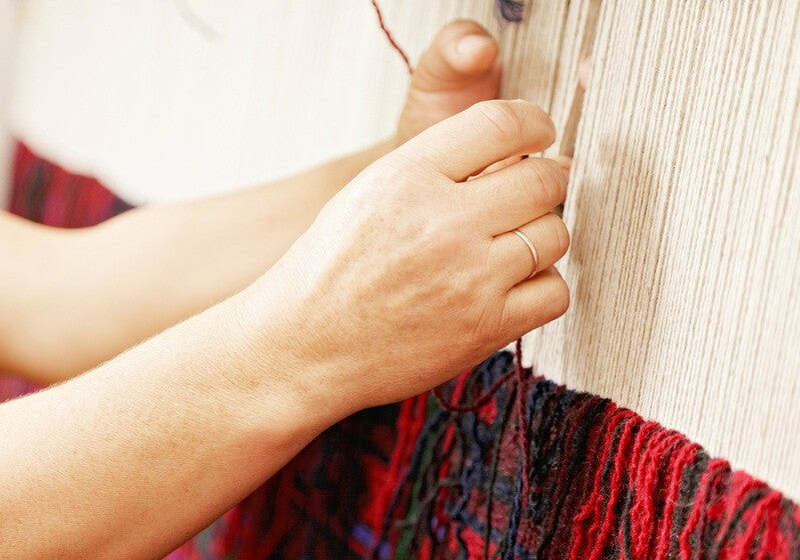 That said a hand-knotted rug must be made completely by hand because the process of knotting is so complex. When you consider the time and expertise need to make a hand knotted rug you will understand why the price is high. For example the hand-knotted rug is made by knotting each individual thread and usually follows a very complicated pattern which has to be memorised by the person working on it. The process of hand-knotting is so meticulous that there are only a few people who have the skills necessary and it can be so monotonous that it is even hard to watch. The amount of knots per square inch regulate the price, the more knots the better the quality and longevity of your rug. Next we will look at hand-tufted rugs. 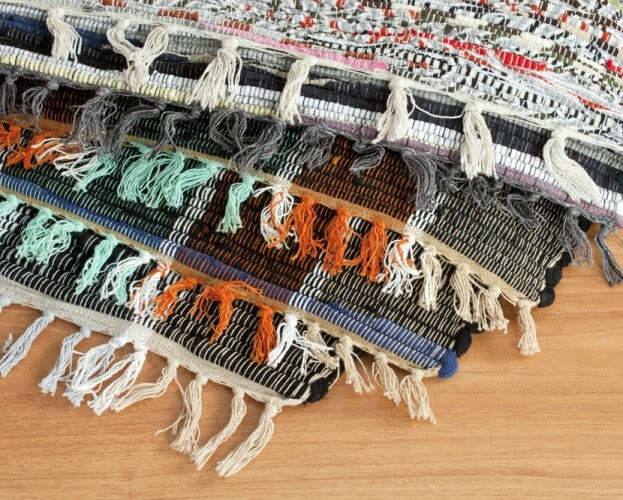 These are rugs made by pushing a thread, a strip of fabric or yarn through a hard backing material and gluing it in place using a ‘tufting gun’. Hand-tufted rugs can be very durable and because the process is not so time consuming as hand knotting the price will be lower, but some of these rugs are still very complex and difficult to make which will be reflected in the price. A hooked rug is made by a similar process to tufting but a hook similar to a crochet hook is used to pull the threads or strips of fabric through a stiff backing material like burlap or linen. Rug hooking first started in the weaving mills in the 19th century when the workers were allowed to collect the short ‘waste’ threads from the floor. These were later fashioned into rugs. In Northern Canada rug hooking was a craft practised by the poorer country folk and they would have utilised any old fabric that was available, such as old clothes, and the backing would probably have been a grain sack. These days hooked rugs are very sought after and can be costly because of the skill and time needed to make one. Flat weave rugs can be hand-made or manufactured on a mechanical loom and are the rugs most commonly seen. The cost will reflect the style of manufacture. The fibres, threads or yarns are woven together in a criss cross design that builds a pattern as it grows. Flat weave rugs are generally hard wearing and have the added benefit of having a pattern on the reverse also so that it can be turned occasionally to prevent sun damage or wear and tear. Some areas of Afghanistan are famous for their hand-made flat weave prayer rugs and these can become family heirlooms with enormous value. At present we do not stock, supply or sell rugs. We're sorry for any inconvenience caused. What Different Types, Sizes and Shapes of Rugs are Available? Should I Choose a Modern or More Traditional Rug?